The hit series, Mystery Case Files, has released yet another episode and it is EPIC! If you liked the previous thirteen thrillers in the series, then you're sure to love "Ravenhearst Unlocked." The history is a long one, in fact, "Ravenhearst Unlocked" is the fifth installment in the series' Ravenhearst story-arc. It may be worth checking out some of the previous episodes, but you won't be lost if you start here. You find yourself trapped in the Dalimar's cell and having to fight through Alister's wicked granddaughters in order to solve this crime against humanity. 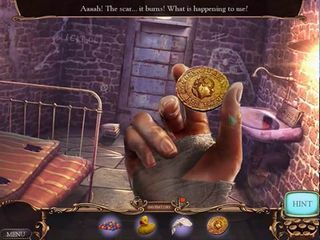 It is only fair to warn you that Mystery Case Files: Ravenhearst Unlocked is a psychological thriller that is probably best suited for mature audiences. If you have a weak stomach, then this may not be the game for you. But, if you have a real sense of adventure, and you are ready for a screaming challenge that will have your brain working overtime, then this is definately the right choice! 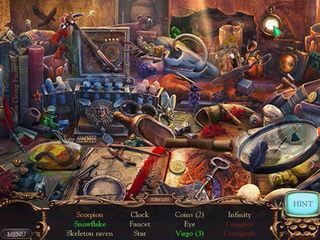 This Hidden Object Puzzle Adventure comes from a long line of success, and the quality meets the expectations set forth by the previous episodes. This eerie series takes place in the Black Magic circles of Blackpool England, so brace yourself for a real fright. 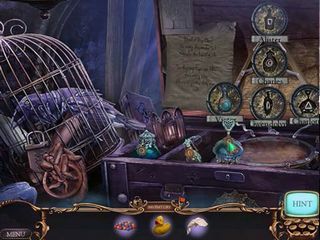 Mystery Case Files: Ravenhearst Unlocked takes you on a quest to stop the evil Alister from his quest for imortality that has him sacrificing anything and everything that gets in his way. If you are familiar with Charles Dalimar's immortality machine from previous episodes, then you understand just what kind of evil you're dealing with here. You find yourself trapped in the Dalimar's cell and having to fight through Alister's wicked granddaughters in order to solve this crime against humanity. But, to succeed, you will have to complete minigames and puzzles along the way. Solve this diabolical madness before it's too late! The graphics and sounds in this game are great. That is, of course, if you like creepy stuff. As mentioned earlier, this is not for the weak stomached. The media is downloadable in the Collector's Edition. There are collectables along the way in the Collector's Edition and a trophy room where you can store them all. There's even a bonus chapter that allows you to play as Alister Dalimar. Earn the special achievements and play the replayable HOPs time and time again. And, if you get hung up, there is a helpful Strategy Guide to assist you along the way. This games is a real knockout! Fend off the wicked Allister Dalimar and defend death itself. This is Mystery Case Files: Ravenhearst Unlocked review. Download this game here.